Gazing into the Void with combined effort since 2010, Bloodmoon have been exploring the musical elements of Sludge, Doom, Stoner, Black and Death Metal with hefty doses of psychedelia to give themselves a highly distinctive sound of their own. 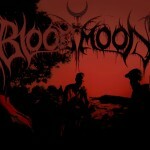 Over the past three years, Bloodmoon has released 2 albums, embarked upon two tours, and played countless shows all over California at any given point in between. 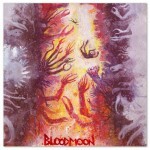 Between shows, Bloodmoon are continually writing with the self- imparted directive of releasing new music every year while always experimenting with different ways to bring the heavy in their own way.